Limited Daily Supply – Get Here Early for Yours! 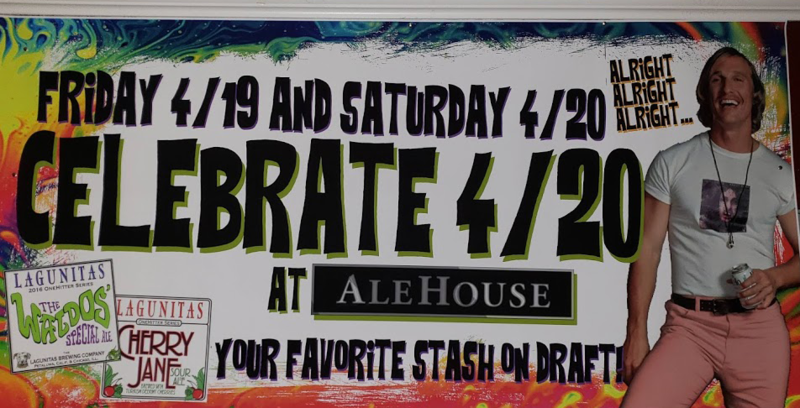 The Alehouse Pub is housed in the oldest standing brew pub in Redding. With a face lift our goal is to provide a comfortable and friendly atmosphere where everyone will feel welcomed and have an opportunity to experience great beer that they wouldn’t normally see on tap in Redding. Barley wines, Dopple Bocks, Stouts, Porters, IPAs, Wheat Beers, Blonds, Ambers, we rotate, rotate and then rotate some more to bring in the new and exciting beers that are out there or that our customers request. We have 27 handles and 100+ in bottled inventory. The Alehouse is proudly setting the standards for beer in Redding. You will not find any domestic beers on tap and very little in bottle. Stop by and check us out – it’ll be an experience!